Secretary-General Ban Ki-moon’s visit to the tunnel at Ein Hash Losa. October 14, 2014. Credit: UN Photo/Eskinder Debebe. 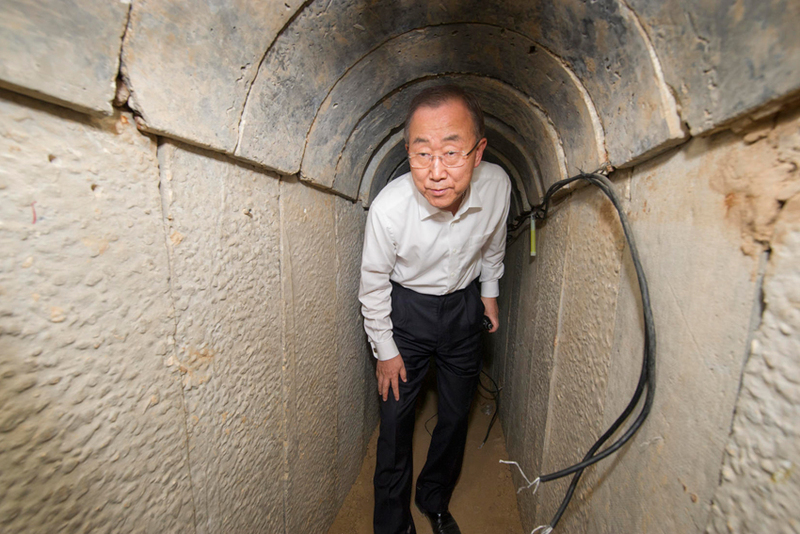 This entry was posted in Hamas Rockets, Hamas Tunnels, United Nations and tagged Ban Ki-moon Israel trip, Hamas terror tunnels. Bookmark the permalink.